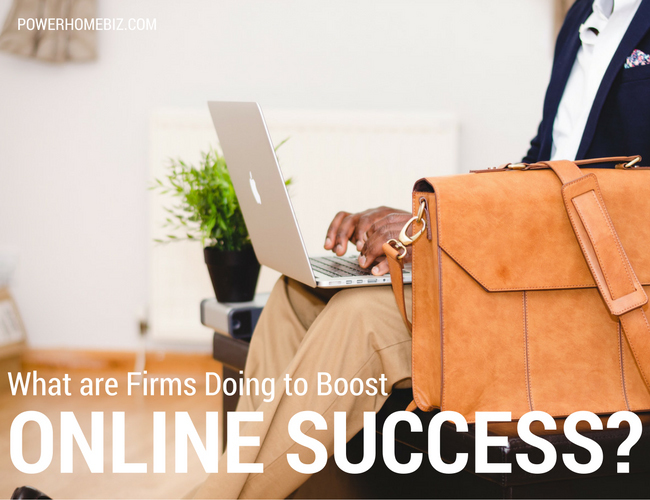 Home | Marketing | Marketing Strategies | What are Firms Doing to Boost Online Success? It’s impossible to overestimate just how many changes the rise and rise of e-commerce have brought to both retailers and manufacturers, not to mention service industries like insurance and finance too. One of the main ones, of course, is the changed relationship with the consumer which both can create closer links and deliver a wealth of useful data to the retailer. It’s also given rise to a whole host of different ways to deliver incentives to purchase from the discount sites like Wowcher and Groupon to cashback sites like those Maple Syrup Media owns, such as Quidco. Cashback marketing can also be considered to be using discounts to incentivise choice but the key difference is that the reward comes after purchase which, though a subtle difference, is one which has a distinct psychological advantage as consumers feel more that they are being paid to make a particular choice. Examining cashback from a more theoretical marketing perspective it also ticks many of the boxes in a number of classic marketing models. There are various factors that are affected from with the 7Ps. While Price isn’t immediately reduced, there are obvious reductions for consumers, who receive the benefit at a later time. This provides a very distinctive USP to those products, providing additional reasons to purchase, and creating a unique proposition for the customer. Product lifecycles are another important consideration for both manufacturers and retailers and there may also be some evidence to suggest that the effective lifespan of a product can be extended if purchasing it can also mean cashback for the buyer. Under the guise of the Boston Ansoff’s matrix, which through market growth, and market share highlights the diversity of a company’s product range, it can provide Cash Cows with extensions, and avoid them turning into Dogs. With a saturated, developed market, it can keep those products from coming to the end of their life cycle, and reinvigorate additional interest. The e-commerce environment is also a very competitive one so another prism through which cashback marketing should be viewed is Porter’s Five Forces Analysis. This scrutinizes the effects that external forces can have on a product or brand and covers Threat of New Entrants, Threat of Substitutes, Bargaining Power of Buyers and Suppliers and Industry Rivalry. In a nutshell, cashback marketing effectively reduces the Threat of Substitutes, namely that another retailer will be chosen because they are offering the same product for less. And, while it doesn’t precisely affect the bargaining power of buyers, the cashback element certainly will help them to feel more in control of the deal, raising brand loyalty. Elliot Watson is an online marketing expert.